Gated Equestrian Community - Nice 14 acre equestrian property and one-story traditional home, 4 bedrooms, 4.5 baths, 3-car attached garage. Home is open concept w/ hardwood floors throughout, light & bright, formal dining, office, butler's pantry, spacious kitchen w/ marble countertops, spacious family area and great views from the many windows throughout the home. 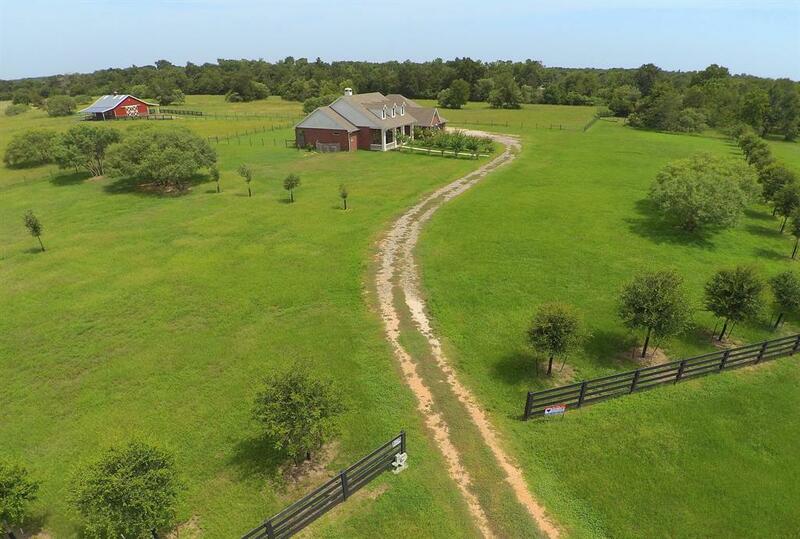 The entrance to this gated equestrian community has a covered arena, picnic area, office, paddocks and guest rooms for overnight stay and riding trails. 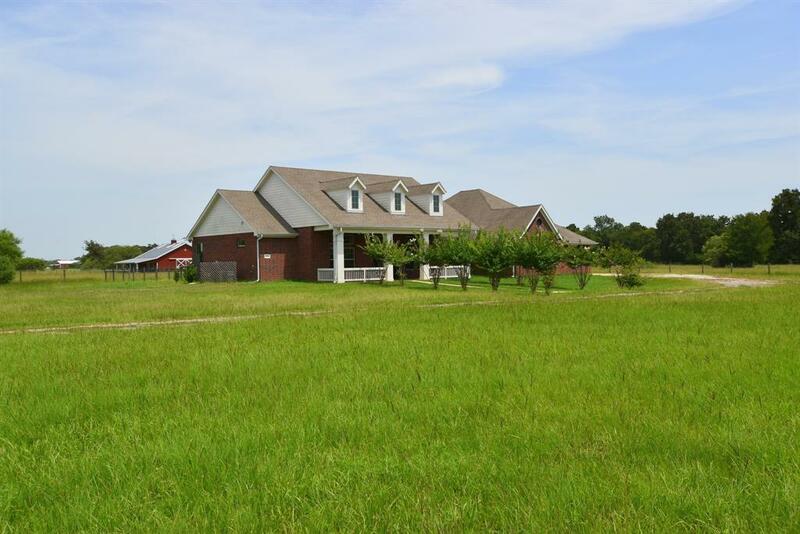 The property is fenced and cross-fenced with 4 separate pastures. 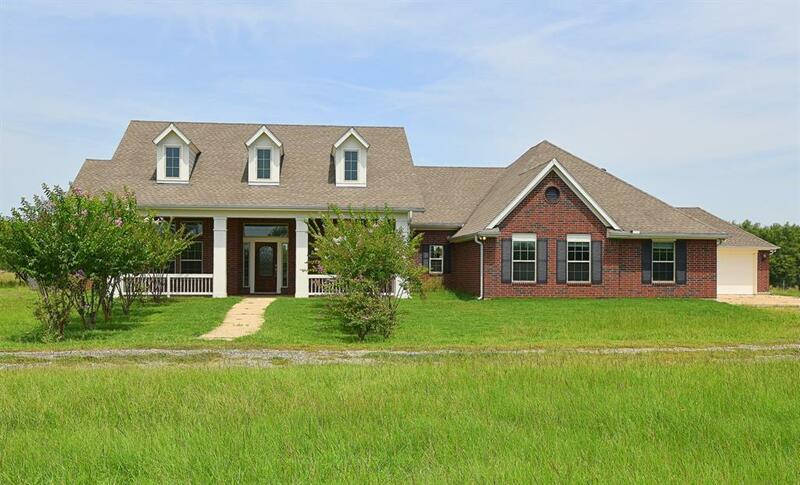 The custom Morton barn has 4 stalls, feed room, tack room w/bathroom, and a/c. Each stall has a covered paddock. 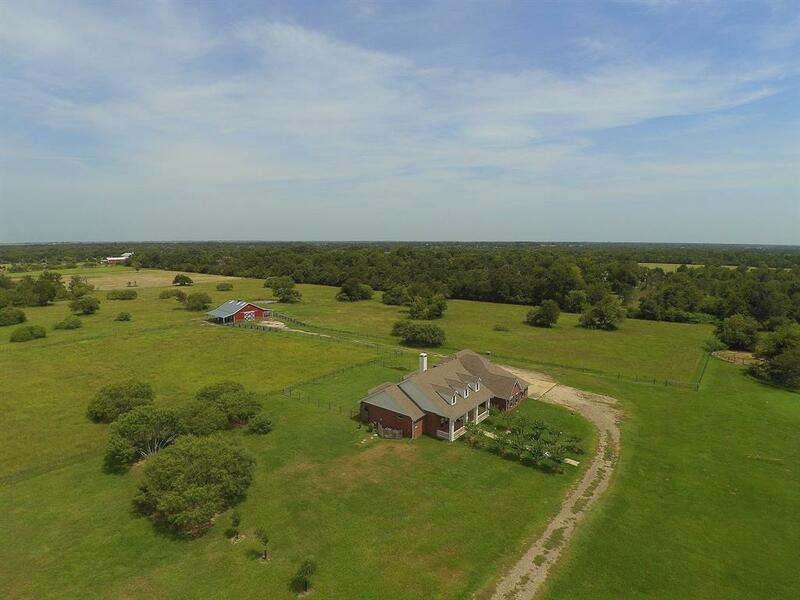 This beautiful property is a must see and located only minutes from Houston. Listing courtesy of Re/Max Trails West.